Interstate Container Lowell applies for second phase of sustainability project for the redesign of Meals Ready to Eat (MRE) packaging for the U.S. Army. 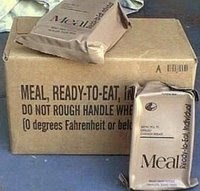 Interstate Container Lowell (ICL) has been invited by the U.S. Army to submit a budget for continued work and grant money for the redesign of Meals Ready to Eat (MREs) packaging. Should the Lowell, Massachusetts-based corrugated manufacturer be selected to receive an additional $60,000 grant, the second phase of the project could include production trials and airdrops to evaluate product integrity. From 2006 to the present, ICL has engaged in the sustainability project for the U.S. Army, one of the largest customers in the United States. In 2006, ICL was invited to bid on and won a $60,000 Department of Defense (DOD) grant to modify the current packaging design of Meals Ready to Eat (MREs) for the U.S. Army. MREs are self-contained meals, individual rations that provide all nutritional needs for soldiers. 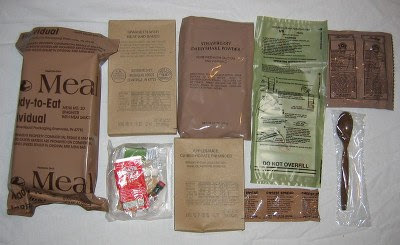 Since 9/11, approximately 3-6 million MRE ration cases are produced per year for the U.S. Army alone. The current packaging incorporates a solid fiber body and a corrugated insert. The solid fiber body is made from three wet strength laminated liners (two 90# liners & one 69# liner), while the corrugated B flute insert is made with 55# liners and a 26# medium. The total weight for such a package is 393#/1000 sq. ft. These packages were originally designed for “burst or Mullen” strength after World War II, but the true functionality is box compression. After meeting with representatives from the U.S. Army Research Facility in Natick, MA, ICL was awarded the grant to conduct research and field testing. Given the proposed design’s reduction in fiber and square footage, ICL estimates a total cost reduction of 28 to 31.9%. Corrugated boxes designed by Gray, containing linerboard grades suggested by the Technical Manager, have 61% less fiber and greater box compression strength than the current MRE ration boxes. The corrugated insert in the current MRE box was eliminated. Through various wax replacement coating trials, ICL has demonstrated that boxes can be produced with ‘non-wet strength’ liners that hold up in a variety of conditions. Testing conducted at the University of Kansas has shown that all ICL prototype boxes and respective coatings have the ability to break down and decompose in the field. The ICL team, which has since grown to include Richard Geyer, Sales, Pete Bugas and Jim Krahn, Interstate Container Cambridge Representatives, has demonstrated its value and partnership with DOD in their sustainability effort. ICL, member of the international INDEVCO Group, will learn in May 2008 whether DOD has approved its budget submission.